This tutorial will show you two very easy ways to reset Android on your Oppo N1 Mini device. In a really short time you will have your phone running as if it just left the factory. One of the methods that we will explain requires that you have access to the Applications Menu, therefore your Oppo N1 Mini needs to be functioning and unlocked. If that is not the case, you will go ahead and use the second method, which uses a combination of buttons to reset Android. Before starting with any of the two methods, please make sure that your battery is charged to at least 80%. Select Reset Phone and then Erase all. Your Oppo N1 Mini will now start the reset android process and will then restart itself. To reset android using hardware you will need to make sure your Oppo N1 Mini is turned off completely. A good way to do this is to remove the battery for a few seconds and then reinsert it, leaving the device turned OFF. One you have made sure that your Oppo N1 Mini is turned off, press the Volume Down button, and while keeping it pressed, press and let go of the Power button. Once you have confirmed the operation, the process will start automatically, and your phone will restart in a few minutes. When your Oppo N1 Mini restarts, it will have factory settings, and will be ready to be customized as it was out of the box, and you will have succeeded and reset Android on the device. 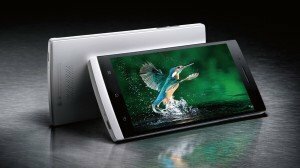 If you have an Oppo Find 5 and you forgot your patter lock password, or the phone is working sluggishly, then you shall try to reset Android on it: It may solve your issues. 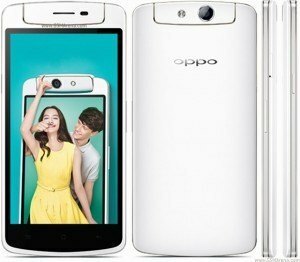 We present you in this tutorial two methods that allows to restore factory settings on your Oppo Find 5. Both methods undertake the same process, reset Android on the Oppo Find 5 and return it to its original state. If you only want to perform a cleaning of your Android OS, then it is also ok to reset Android, but in such case maybe you would like first to make a backup of your files. To begin with this reset Android procedure on your Oppo Find 5, you need first to have your phone charged up to 80% of battery. Navigate into Settings> Backup and Restore> Factory data reset> Reset phone> Erase everything, wait a few minutes and the phone restarts in first use mode.